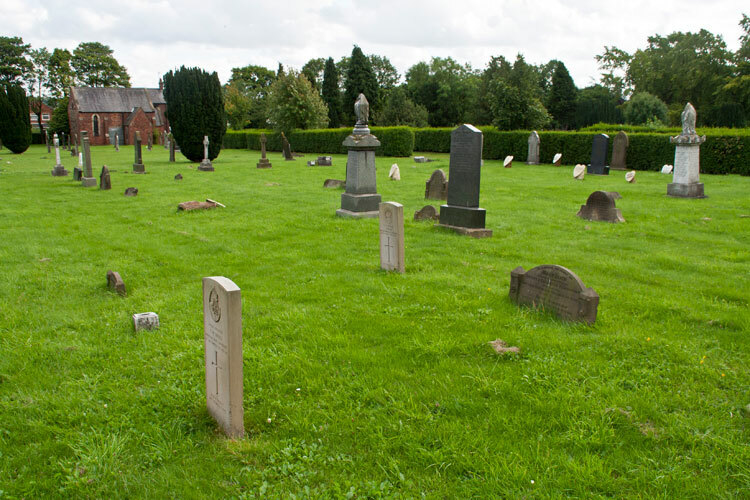 There are 25 burials relating to both the First and Second World Wars in Crook and Willington (Willington) Cemetery. Fourteen burials are for those who died in the First World War, of which 1 was a soldier who served with Yorkshire Regiment. The graves are scattered throughout the cemetery. 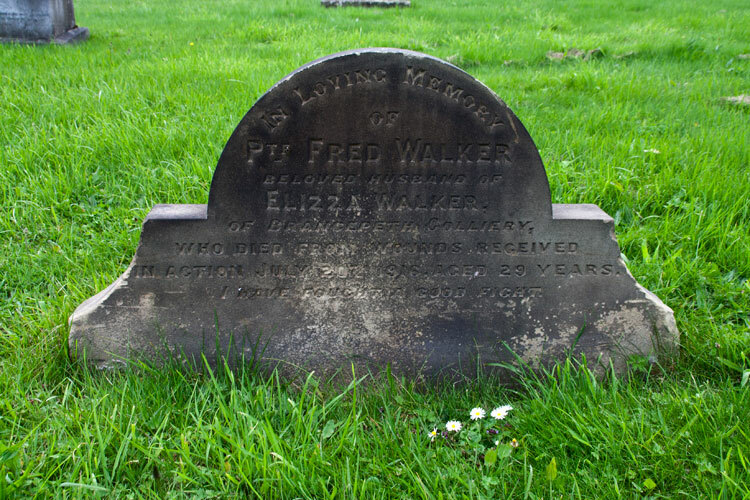 Some of the headstones are standard CWGC headstones, whereas others (including Private Walker's) are family headstones. All photos are by Edward Nicholl. WHO DIED FROM WOUNDS RECEIVED IN ACTION JULY 20TH 1916 AGED 29 (sic) YEARS. Private Fred Walker. 19326. 2nd Battalion the Yorkshire Regiment. Husband of Eliza Cunnah (formerly Walker), of 27, Boyne St., Willington. Died at home 20 July 1916. Aged 27. Born Willington (Durham), Enlisted Durham, Resided Willington. A general view of the section of Crook and Willington (Willington) Cemetery holding graves from the First World War. Private Walker's headstone is on the right. Note the two CWGC headstones.